The type of file you send is important. Some programs, like Microsoft Word, can change when transfered between computers. 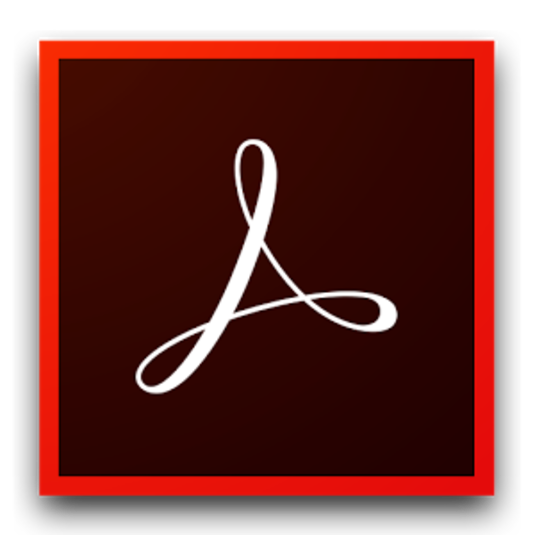 PDF Documents are essentially unchangeable. When you send us a PDF file to print, we will not be able to adjust or edit. What you give us will be exactly what is printed. Packaged InDesign Files are the BEST option to send us. We will be able to adjust images to the best print quality for our machinery. MAKE SURE you package it first, otherwise we will loose links (photos and icons) as well as fonts. Illustrator is great for creating icons and graphics, but not the right program for layout. Often, there will be links to Illustrator files within your packaged InDesign file. Photoshop is a powerful tool for adjusting, resizing and editing photos, but it is not the right tool for layout or graphic creation. 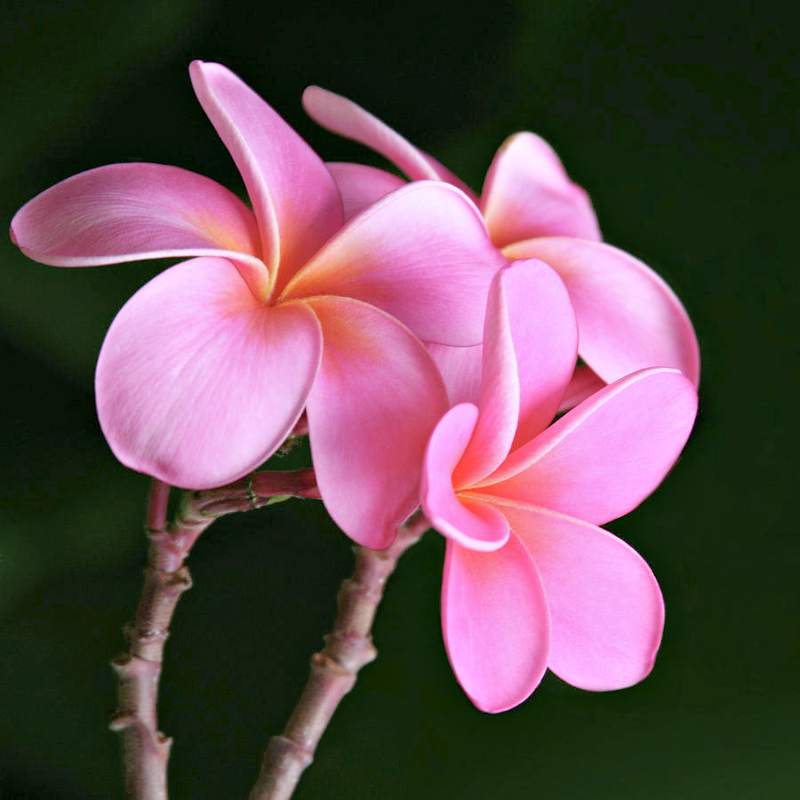 Often, you will have links to Photoshop (Psd) files within your InDesign files. 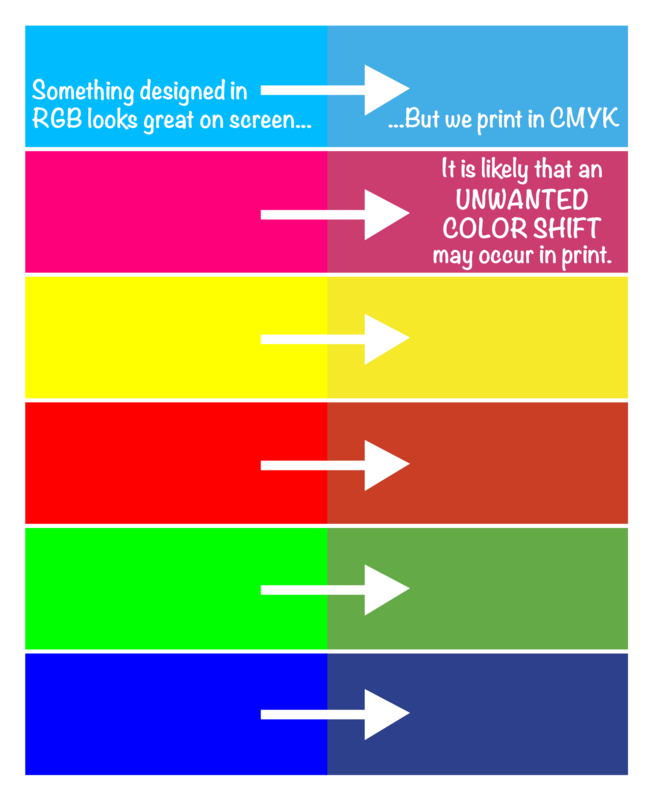 There are two different color modes: RGB and CMYK. RGB uses different percentages of Red Green and Blue light to produce color. This is how computer monitors work, and is great for web design. Unfortunatly, we cannot print light onto paper; We use ink, therefore printers work with CMYK. If you design in RGB, there could be a significant shift from what you see on your computer and what your finished product will look like. Too low of a resolution may result in pixelated or blurry images. PLEASE NOTE: Increasing the resolution of an already small image will RUIN THE IMAGE. You must start with a good quality photo to get great print results. It is important to proofread BEFORE approving or sending files for a job. Typos or grammatical errors can make a rather large impact. A recent poll found that only 3% of people didn’t mind errors, whereas most consider typos and grammatical mistakes a deciding factor in whether to continue reading… or not.